StopTech Brake pads are intended for high performance street driving as well as light duty track use. StopTech's STR-40 Trophy calipers are manufactured from fully forged aluminum for optimal strength and light weight. StopTechs patented, removable center bridge further resists yaw (flex) and allows pads to be changed without caliper removal. 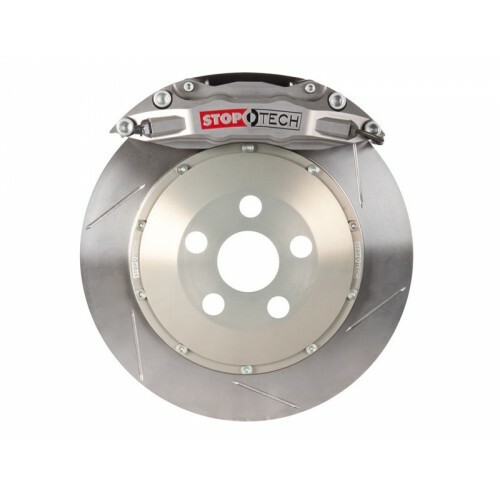 The StopTech Trophy forged caliper is the stiffest aftermarket caliper available, stiff calipers offer better performance with no vibration or noise, improved pedal feel and no radial pad taper. Forging also produces a beautifully finished, nonporous caliper, calipers that are cast can have major issues with porosity which can even cause calipers to leak. StopTech does all finish machining (such as piston bores sized correctly for the application), assembly, and test in California. The calipers are then anodized to resist discoloration under high heat. Dust boots are standard on StopTech Trophy Sport calipers to keep the pistons clear of contamination and extend the service life of the calipers. StopTech AeroRotors® are cast with a proprietary high durability cast iron formula. To test rotor durability, StopTech rented the California Speedway and ran a heavily weighted down car with StopTech rotors on one side and a competitor's rotors on the other. In this test, StopTech rotors were approximately twice as durable as the competitor's rotors. 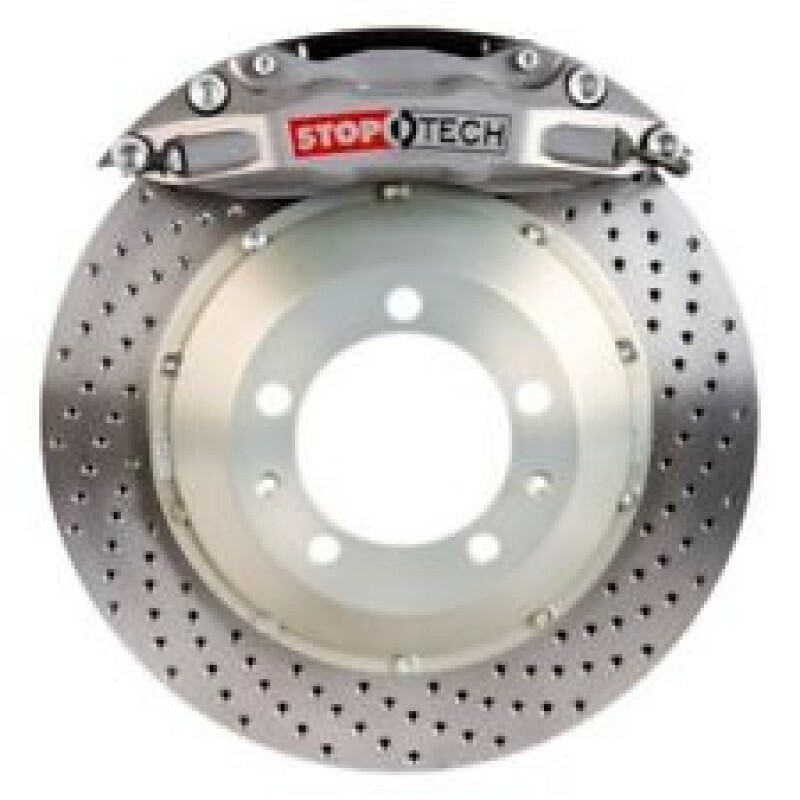 StopTech has had several sets of rotors run entire 24 hour races on winning cars.